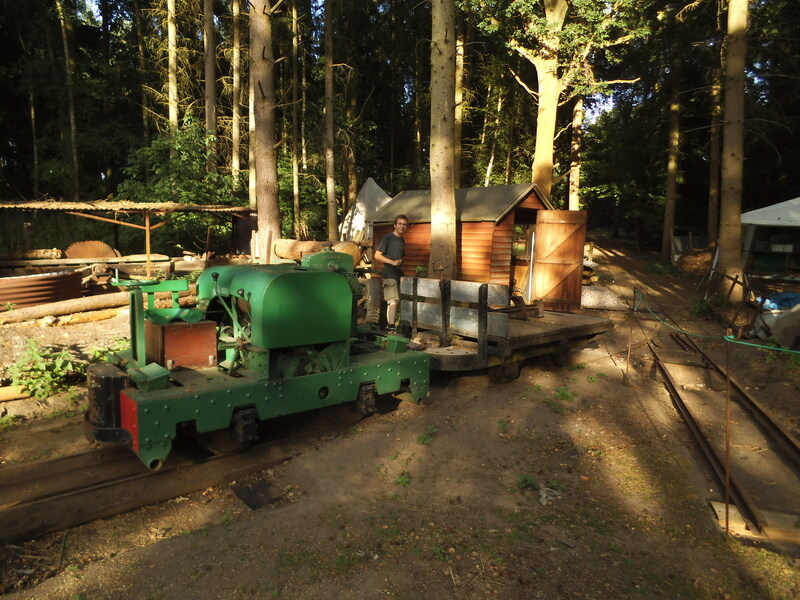 Based on a World War One trench tractor design, Simplex locomotives were, and continue to be, one of the most common sights on many industrial narrow gauge railway’s. MR.8981 was supplied new to the Midhurst Whites Brick Company in 1946 and spent its working life at their Midhurst works. Originally 8981 was two foot 6 inch gauge. The locomotive was purchased in 1986 from the company and has subsequently been regauged and completely rebuilt. This locomotive was built in1944 for the War Department and is today in ex-military condition, awaiting a long overdue overhaul. This locomotive was built by the Motorail & Tramcar Company of Bedford in 1936, and is of the 25/36 hp class, weighing 4 tons 2 cwt and fitted with a Dorman 2RB engine. It is the only known example of this type fitted with this engine. 5713 was ordered new on 2nd October 1936, by the Staveley Coal and Iron Co. Ltd., for use in their Campbell Brickyard in Staveley, Derbyshire. When the order was placed, it was also requested that the locomotive be fitted with a wooden cab and a transmission brake (which brakes the outside of the engine’s fly wheel). The locomotive cost £313 6s 8d to build, this included £6 12s 7d in wages! 5713 was promised for delivery on 12th October 1936 and was given the plant number of 754/37, the latter number indicating the year it was put into service at the Brickyard. It is, therefore, not clear if the delivery was delayed, or the locomotive was on trial prior to being accepted. 5713 continued to work at the brickyard, until November 1968 when she moved to the Stanton & Staveley Concrete Pipe works, however, she then lay idle here for some time. This plant became B.S.C Stanton Pipe plant Ilkeston, Derbyshire and 5713 was then given the plant number 727/71. After some use at the plant, by February 1972 5713 was stored in the obsolete plant dump at the rear of the works. The locomotive was purchased by A Wilson in August 1972 and moved to S Heasledon & Sons Ltd yard in Cropwell Bishop, Nottinghamshire. She remained here until April 1975, when purchased by J Croskey who moved 5713 to the Brockham Museun near Dorking, and then to a farm near Capel in Surrey. In January 1976 5713 was exchanged with A Keef Ltd of Oxford for a quantity of Railway equipment, the loco moving on 20/01/1977 and remained there until being purchased by B Gent in December 1980, who moved 5713 to the Wey Valley Railway in Farnham. 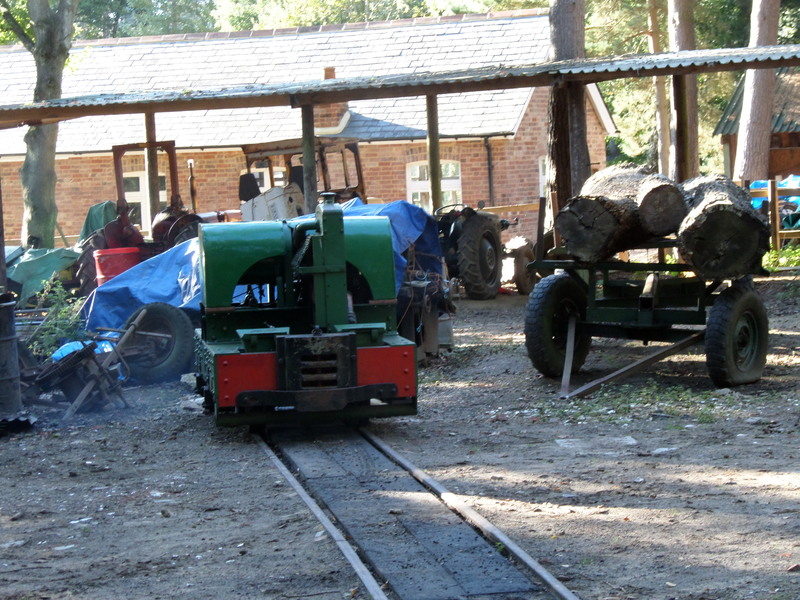 With the demise of the Wey Valley Railway (due to the land being required for redevelopment), 5713 and much of the railway moved to the Rural Life Centre in May 1982 to form the Old Kiln Light Railway. 5713 was named Eagle at the OKLR as when what was then the heaviest locomotive was being delivered, somebody said “the eagle has landed” and the name stuck. MR.5297 “Fido” was built in 1931, this one is powered by a petrol Dorman 4MRX engine.